Romantic wall sticker. Are you struggling for gift ideas for valentines day or your anniversary? 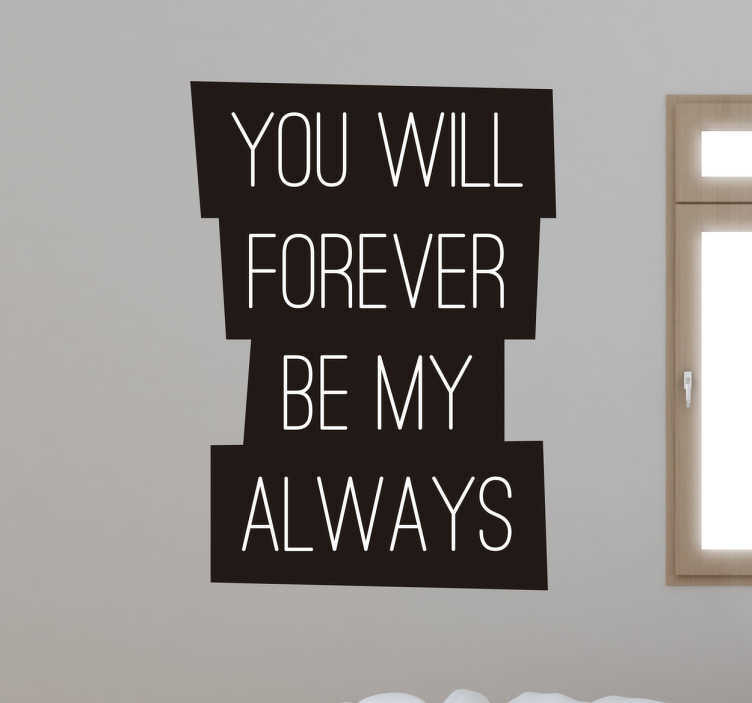 We've got you covered with this romantic wall sticker which will make your partner cry with joy. The message consists of "You will forever be my always!" Let your partner know how you feel with this removable wall sticker. This sticker is available in a variety of sizes and colours.